hevana, 23 Mar 2012battery is too bad.. lasted for about 5 hours only without using it. so fail.I will not agreee at all bettery is awsum.. lasts for atlest 24hours with the rough use of 18/19 hours.. Xperia neo V is a fab phone! hey all, using this phone week ago..
games and apps just fantastic..
and main thing BATTERY is really good and get charged in our and tells u in percents, I use it rough about at least 18 hours but still battery gives about 24 hours backup.. so many options to explore OMG.. Anonymous, 25 Mar 2012I am using this from last 40 days.. I can tell you this phone is awesome for it's prize.. The ... moreUr review is total BS. also featuring HDMI cable connectivity which make this phone standing ahead at the top at price range of 15k to 20k. camera quality is good , gps is good , and after all these all the phone's have some drawbacks. 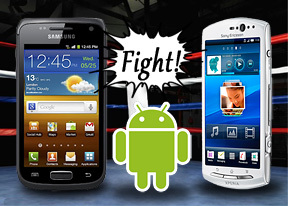 i had used lg, samsung and htc also in android all phones have some drawback.. Anonymous, 25 Mar 2012I am using this from last 40 days.. I can tell you this phone is awesome for it's prize.. The ... morehow is that? I am using this from last 40 days.. I can tell you this phone is awesome for it's prize.. The battery life if yo know how to manage you can get upto 45 hours Even if your on 3g after heavy browsing(Compare with other company droids.. you will surely say this phone battery is far better).. The phone blazing fast.. and can play most of the games in android market without lag.... The music quality is one of the best.. (You compare with other's samsung and LG and HTC).. Over very happy with phone.. If you want very good phone under tight budget.. this phone is for you. waiting for the ICS update.. ..Don't listen to the bad comments samsung and HTC fanboys comment's.. I am planning to buy this? How is this? Which phone is better Sony Xperia neo v or Xperia ray? Kindly suggest with pros and cons? Frends dis phone is good,but 2 things is very bad i.e battery back-up n not having video calling,even its have a front camera. its makes customer full. I can't download movies .wen I press download ..it shows download completed..within a sec...????? hi dear friends . i am looking to buy sony neo v , can anyone help me by telling, one who using this cell for some months.. how the total performance , any complaints as well , hanging, applications , and what u felt good on this and bad also ? Zahir, 24 Mar 2012Brothers, I wanna buy this phone but seeing these reviews i got that its battery backup is bad... moreif I assumme you will install about 30 apps that moved to sdcard. your phone will be blazing fast, and the battery will last at least 1.5 day. its power user like myself who drain its phone battery by playing NOVA HD for 4 hours. so if you are an occational gamer, you dont really need a dual core phone. but if you prefer to play game on phone, go for a dual core phone. Zahir, 24 Mar 2012Brothers, I wanna buy this phone but seeing these reviews i got that its battery backup is bad... moreDude, battery life will always be down in any fone with android. Even htc, samsung and all with the similary battery gets over within a day. Otherwise, the fone is awesomeness. 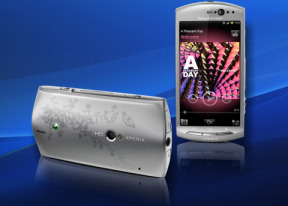 Total of 9975 user reviews and opinions for Sony Ericsson Xperia neo V.